ADARA strives to be the leader among professional organizations in transforming the paradigm of rehabilitation of Deaf people to enhancing the quality of life with people who are Deaf or Hard of Hearing. This intent will be achieved through a balanced approach of consumerism and professionalism and will require the organization to continually examine the fundamental philosophies and attitudes that manifest themselves in the image of the organization and the configuration of the membership. ADARA was founded on May 25, 1966 (originally as ​Professionals Rehabilitation Workers with the Adult Deaf [PRWAD]). The name change from PRWAD to the American Deafness and Rehabilitation Association (ADARA) took place at the San Antonio meeting in 1977. Click here for more information on ADARA's history. ​When the ADARA logo was developed in 1993, the idea was to establish partnerships among various types of providers and organizations providing rehabilitation and mental health services with deaf and hard of hearing persons. ADARA welcomed therapists, vocational rehabilitation counselors, employment specialists, and other providers from multiple agencies, all working with deaf and hard of hearing persons. 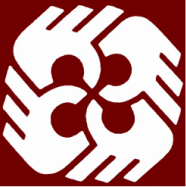 The final design became four hands linking together in partnerships, using the sign for ‘connections’.